HOUSTON – (March 1, 2019) – How cells in developing embryos communicate depends a great deal on context, according to scientists at Rice University. Researchers already knew that WNT, which carries messages across the cell membrane, is central to the early development of organisms and later helps stabilize cells in adults. Now they’re gaining a more complete picture of the pathway’s function. 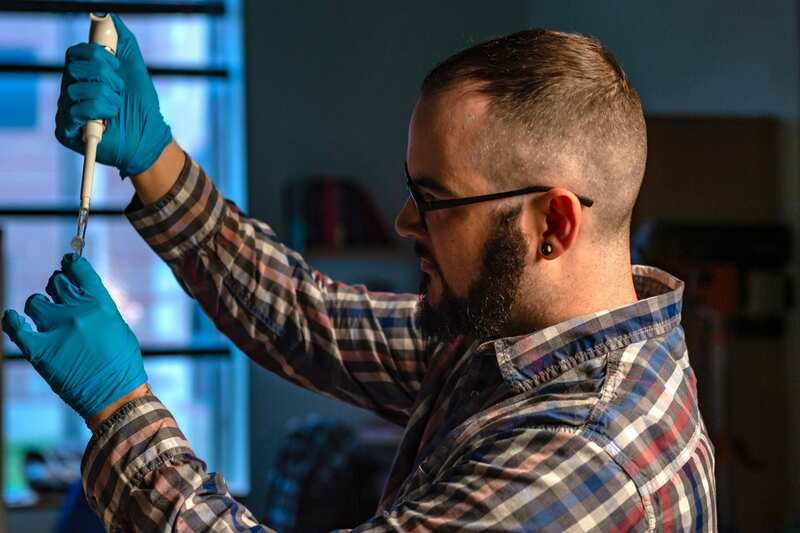 Near the start of life, WNT signals provide key developmental cues from outside the cell, according to Rice bioscientist Aryeh Warmflash and graduate student and lead author Joseph Massey. These extracellular WNT signals help direct cell differentiation by triggering beta-catenin proteins that affect gene expression in the cell’s nucleus. “We know that cells in development become all the different types of cells in the body,” Massey said. “To do that in the right place and at the right time, they have to have some kind of positional timing cues, and share information with each other,” he said. “While we’ve known the identity of some of the proteins involved, we haven’t had the tools to understand them. “In this work, we used modern gene-editing tools to visualize some of these transducer proteins, those in the WNT signaling pathway,” he said. 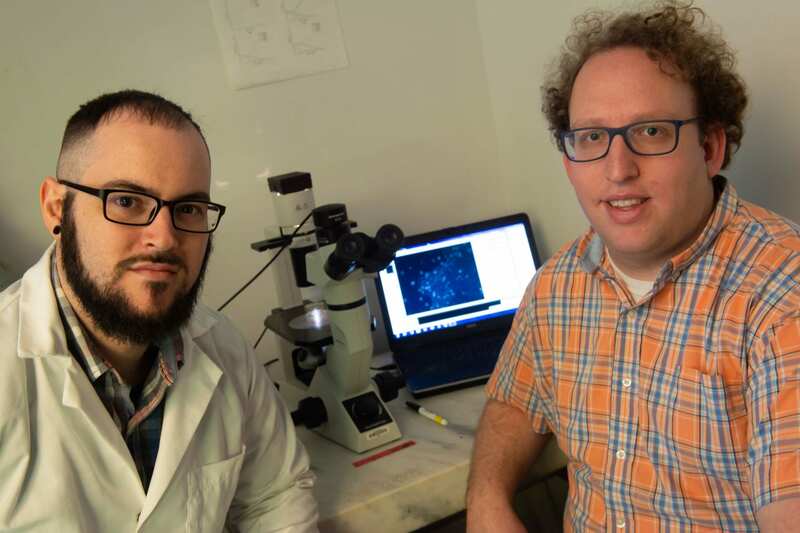 Joseph Massey, left, and bioscientist Aryeh Warmflash led a study that determined protein signaling in embryos is far more complex than previously thought, as cells depend a great deal on context to determine their fate. The primitive streak is a structure that forms early in the development of an embryo, establishes the organism’s bilateral symmetry and serves as the focal point of gastrulation, where multiple layers of differentiation begin. “Our research highlights for the first time for this signaling pathway that the dynamics, the way the cells interpret these signals, is very much context-dependent,” Massey said. The researchers investigated some of the causes of these changing dynamics. 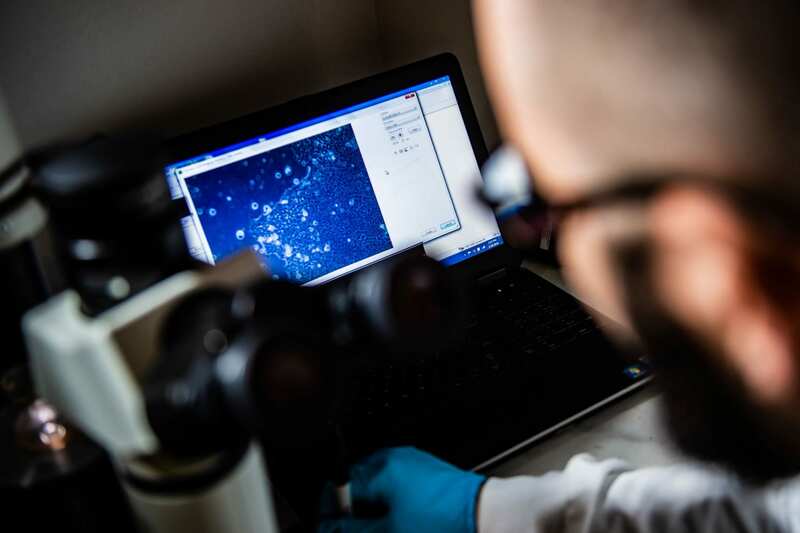 They found that by altering levels of activin and bone morphogenetic protein (BMP), both members of the TGF beta “superfamily” of growth factor proteins, they were able to change the dynamics of beta-catenin signaling. As TGFb factors are also involved in cellular differentiation, this is a possible cause of the changing dynamics of WNT signaling during development, Warmflash said. The experiments demonstrated one way that beta-catenin signaling in stem cells adapts to a constantly changing environment. “What’s interesting is that all of these developmental pathways are, throughout the course of an organism’s development, recycled for different roles,” Massey said. “At the beginning, the WNT signaling pathway is perhaps specifying different tissues to become the right type of tissue in the right place. Later on, it’s maintaining homeostasis or other processes in the adult.